First inhabited by Arawak and later by Carib Indians, the Virgin Islands were settled by the Dutch in 1648 and then annexed by the English in 1672. The islands were part of the British colony of the Leeward Islands from 1872-1960 and finally granted autonomy in 1967. Although the true name of the country is simply, The Virgin Islands, the word ‘British’ is commonly added to distinguish it from neighbouring US Virgin Islands, to which the economy is closely tied, making the US dollar the official currency in the BVI. The economy is driven by both tourism and a thriving offshore financial services industry. There are approximately 15 inhabited islands and cays in the BVI and the capital, Road Town, is located on Tortola which is also the largest island, and is where almost all the 28,000 residents live. Other popular islands for holiday makers include Virgin Gorda, Anegada and Jost Van Dyke. With the exception of Anegada which is a coral island, the islands of the BVI are volcanic. They are mountainous and lush with excellent harbours. Because of these harbours, the BVI are especially popular yachting destinations and have excellent boat clubs and resorts. Anegada is especially popular with divers, and Jost Van Dyke, named for a pirate and early settler, will appeal to history buffs. 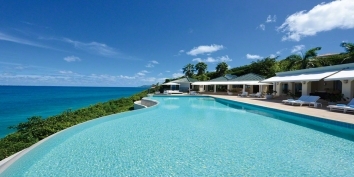 You may also be interested in our slection of US Virgin Islands villa rentals. To find British Virgin Islands villa rentals by owner, for your next holiday, simply select British Virgin Islands as the destination in the “BROWSE BY” tool bar towards the top of the page. If you have set vacation dates use the “AVAILABILITY SEARCH” box, which blends in/out to the right of the slideshow. Alternatively, you can simply browse through the following list of British Virgin Islands villa rentals by owner. LaVida is a brand new, luxurious, fully air-conditioned, 5 bedroom, 7 bathroom, beachfront villa rental in a secluded, private setting on the western shores of beautiful Virgin Gorda in the British Virgin Islands (BVI). Every room faces west with 8' x 10' sliding glass doors that provide ocean and beach views as well as breathtaking sunsets. The exterior of this Virgin Gorda villa rental blends harmoniously with the natural surroundings while the interiors provide barefoot elegance with crisp, clean décor, which comfortably accomodates up to 10 people with ease. Find out more about Villa LaVida, Nail Bay, Virgin Gorda, British Virgin Islands (BVI). Rambutan Villa is a beautiful, beachfront, 4 bedroom, 3.5 bathroom villa rental with private swimming pool in the exclusive Nail Bay Estates on the island of Virgin Gorda in the British Virgin Islands (BVI). 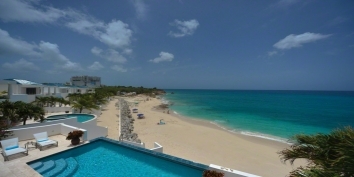 This Caribbean villa rental is surrounded by mature landscaping on three sides and a beautiful beach on the other. West facing with spectacular ocean views and sunsets, Rambutan Villa is one of only four private homes on the secluded Nail Bay beach. A nearby private golf course and generous green space ensure that Rambutan Villa's privacy will always be maintained. Find out more about Rambutan Villa, Nail Bay, Virgin Gorda, British Virgin Islands (BVI). This fabulous villa is set high up in the prestigious Belmont Estate in the West End of Tortola British Virgin Islands. It is a designer's dream with bright colors, Mexican tile, sun and moon sinks that wake you up even if you have been partying late at Bomba’s Shack!! The West Indian style 4 bedroom, 4 bath Villa nestles into the contours of the land, with bedrooms set in separate cottages maintaining maximum privacy. All bedrooms are air-conditioned. Find out more about Limeberry Villa, Smugglers Cove, Tortola, British Virgin Islands (BVI). South Sound Villa is a very special, private, oceanfront vacation home, on its own private peninsula. This Virgin Gorda villa rental has 6 bedrooms, 4 bathrooms, an infinity-edge swimming pool and a private dock. South Sound Villa sits at the end of Mattie Point, with water on three sides and Gorda Peak behind. South Sound is a spectacular secluded area of Virgin Gorda in the British Virgin Islands (BVI), where you hear the waves breaking on the reef and your neighbors are pelicans, turtles and fish. 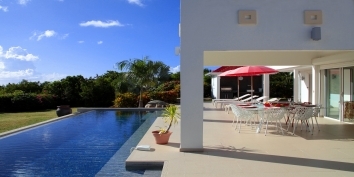 Find out more about South Sound Villa, South Sound, Virgin Gorda, British Virgin Islands (BVI). Limeberry House is a wonderful 3 bedroom, 3 bathroom, West Indian style villa nestled into the prestigious private estate of Belmont on the West End of Tortola in the British Virgin Islands. Set in mature gardens this villa rental offers everything you could need to make a wonderful British Virgin Islands vacation; alfresco dinning, views of the Caribbean Sea, sparkling turquoise swimming pool and flower filled sundeck. Limeberry House can easily accommodate 1-6 people. Find out more about Limeberry House, Smugglers Cove, Tortola, British Virgin Islands (BVI). Is your British Virgin Islands villa already unique on CARIBIQUE? If not, find out how to list your Caribbean villa now!